In 2015, Belen had only one motivation—to get her license and buy a car by managing and handling her money as effectively as possible. She had been practicing driving since 2010, but didn’t have the confidence to take the final step because she felt she lacked enough time behind the wheel and the driving skills to pass the test. She overcame that obstacle with help from JIT staff and volunteers who helped facilitate additional driving time and kept the focus on what she was doing well. 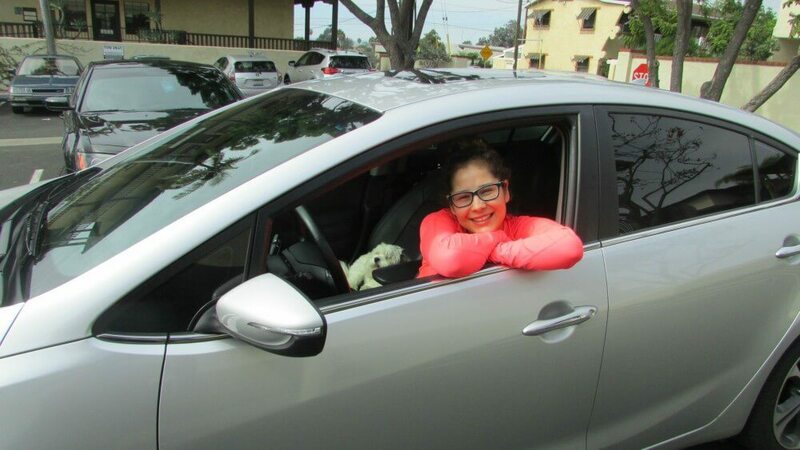 She passed the driver’s test within a few months and gained the confidence to move on to the second part of her Changing Lanes plan: saving money to earn matches through Financial Fitness. By attending workshops and working with her Asset Advisor, Belen discovered another unexpected benefit. “I honestly couldn’t have been paired with anybody more encouraging than my Asset Advisor, Travis Pearson. He helped me maneuver through challenging financial and personal obstacles such as following through on commitments, making realistic goals, and even the consequences of lending money to friends. The connections I made with Travis, other youth, potential employers, tax consultants, and even scholarship coordinators have had such an incredible impact on my life that I will forever cherish each one.” Belen also kept her focus on her initial goal. She completed all the Financial Fitness savings matches and used those funds to buy a reliable car.